While we ponder whether someone will soon discover the ultimate fountain of youth, or maybe a way to stop time, to catch up or make changes, life just keeps on whizzing by. Trends come and go, styles fade in and out of fashion and life keeps moving. But, amid the doom and gloom comes a shining light of hope from The Blind Factory – a Lifetime Guarantee. 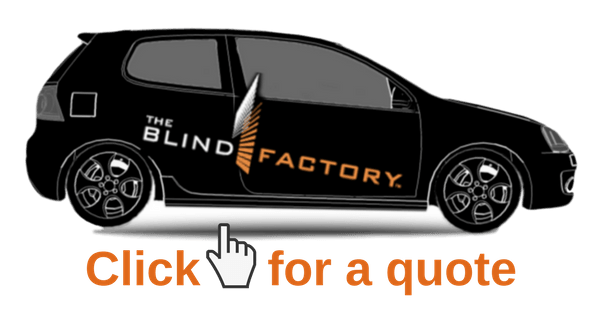 Okay, so the team at The Blind Factory can’t stop time, but what they do offer is the ultimate peace of mind for customers. New blinds, shutters and awnings are investments into the value of your home, and you deserve for that to be protected – forever. Most warranties and guarantees these days come with a multi-page contract full of fine print, but at The Blind Factory, they like to keep things simple. If you’re living in your own home, they will guarantee your new blinds, shutters and awnings for as long as you live there! Whether it’s the timeless style of timber shutters, the versatile venetian blind, or the contemporary roller blind, it’s all covered. Quality products, quality service, with over 50 years of experience, and a name you can trust – forever – The Blind Factory offers peace of mind for a lifetime. For a personal, in-home quote with one of The Blind Factory’s experience design consultants, and to learn more about your Lifetime peace of mind, click here. ← Pantone Ultra-violet, yes or no?